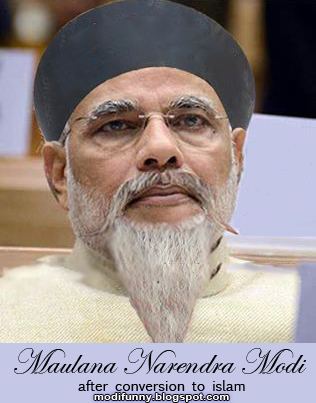 Picture of Modi claiming to Ban Biryani and Chicken after he becomes the PM of India. 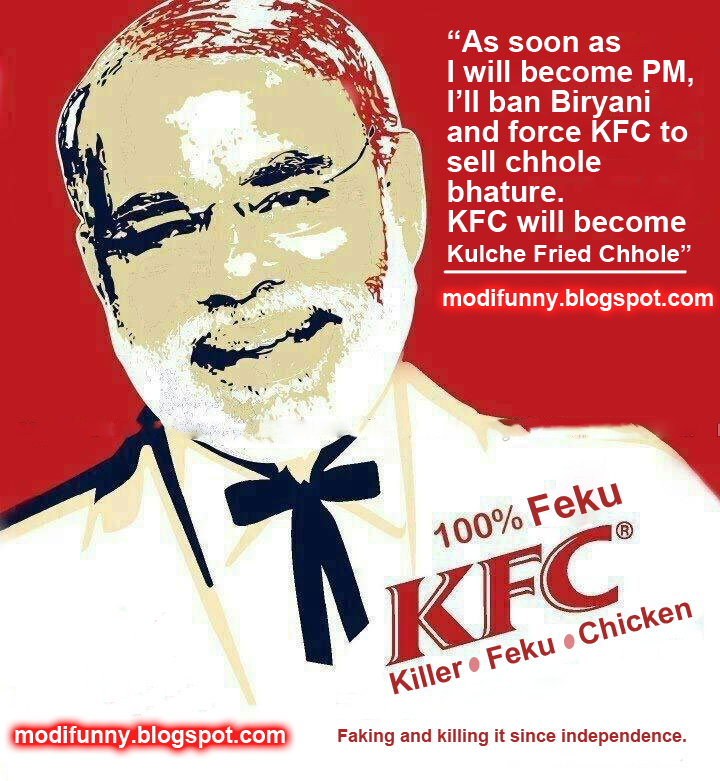 Modi says, when he will become the prime minister, he will change the KFC to Kulche Fried Chhole! 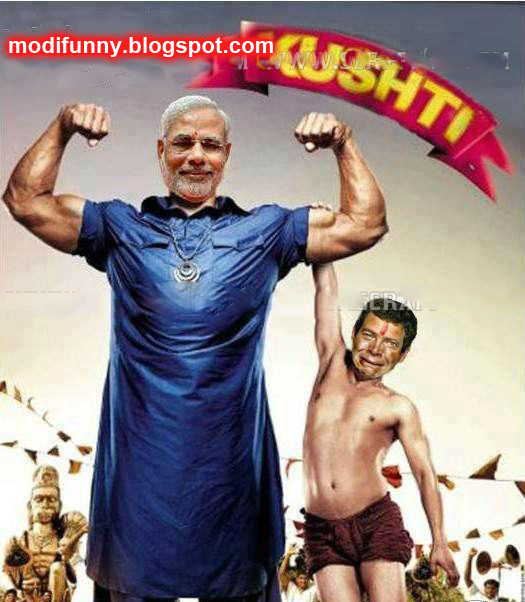 This picture shows Modi in a poster of Kushti. 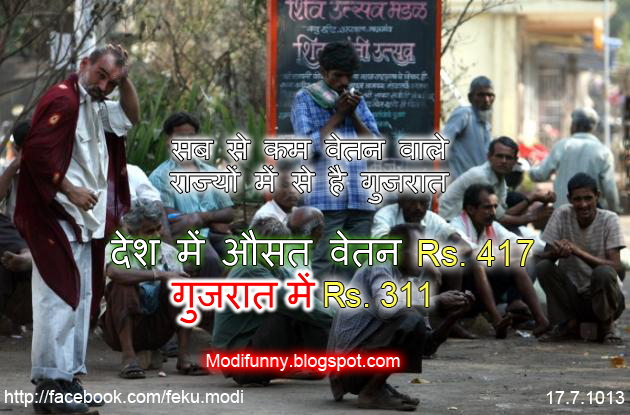 This exaggeration can be done only by the Modi and Feku fans. 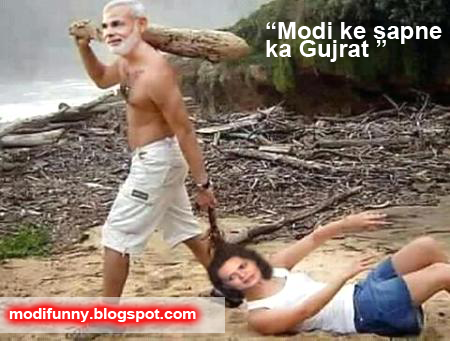 This is a fake realization of Modi's dream - "modi ke sapne ka Gujrat" in which he thrashes away the congress cheif Sonia Gandhi. We found this picture on fb. Disclaimer: We have not made this or ANY image/photo. We have only collected them from social media. This is an example of how creative the fans of Narendra Modi are. 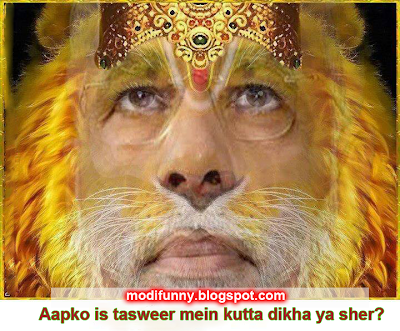 They have replaced the picture of a God with Narendra Modi. We have found this picture on FB. 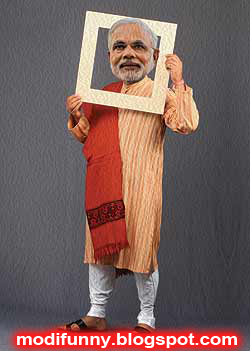 This is a very creative photo of Narendra Modi. 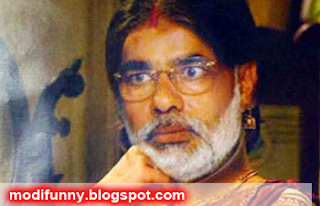 It appears as if this picture was made by hybridizing the faces of Narendra Modi and Amitabh Bachan and still showing a female hairs. This is a fantastic work of art. 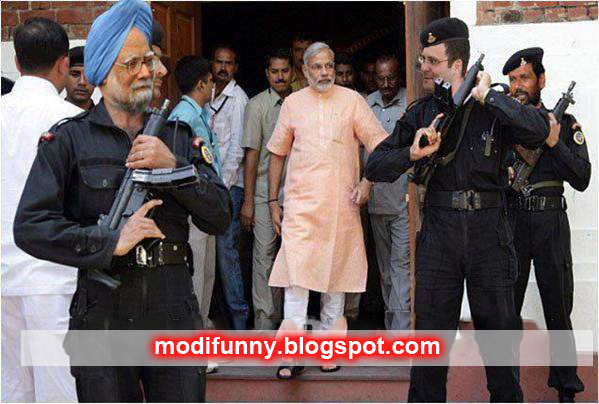 This funny photograph of Narendra Modi showing Manmohan singh , Rahul Gandhi and Ram Vilas Paswan as their Guards has been shared a thousand times over the internet. 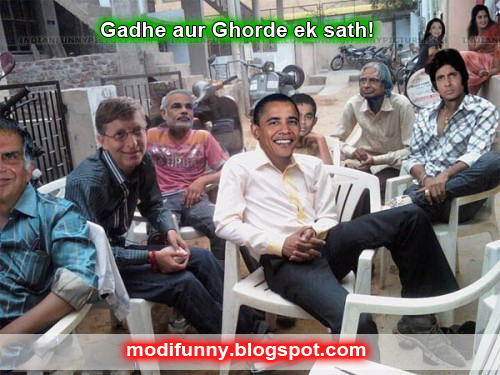 This picture showing Modi, Obama, Bill Gates, A P J Abdul Kalam and Amitabh Bachan together with Ratan Tata in a Tea Stall was discovered by our sources. Disclaimer: We Do Not Create ANY picture. We only Collect them from facebook and other social media and add our badge on them. 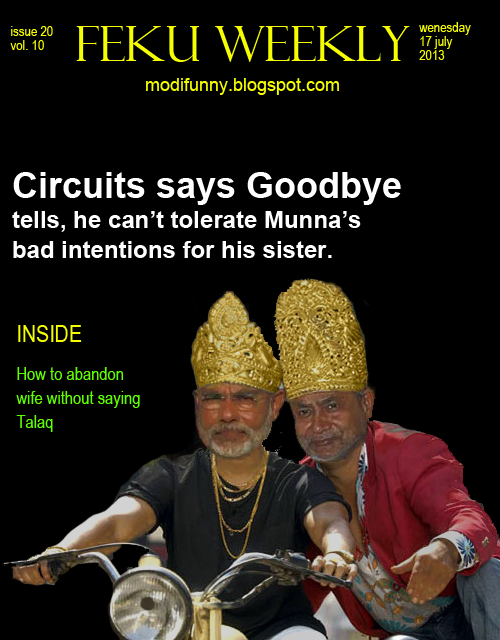 This picture of of Modi with an unknown male, was found on Facebook. Please see the link in picture for more detail. 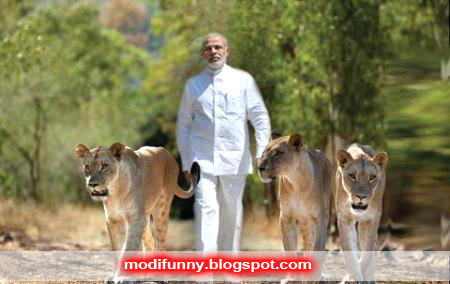 This picture of Narendra Modi has gone viral on internet where he is seen showcasing himself larger than he is. Don't forget to share this picture if you like it.